Now a day, we are often hearing about smart grid, in the news and around all of us too but most of the people do not have the basic understanding of what a smart grid really is? Just because the word ‘smart” has been attached to it, do not assume that it is something relevant to our smartphones or smart TVs, not relevant but the concept of it maybe comes from that. 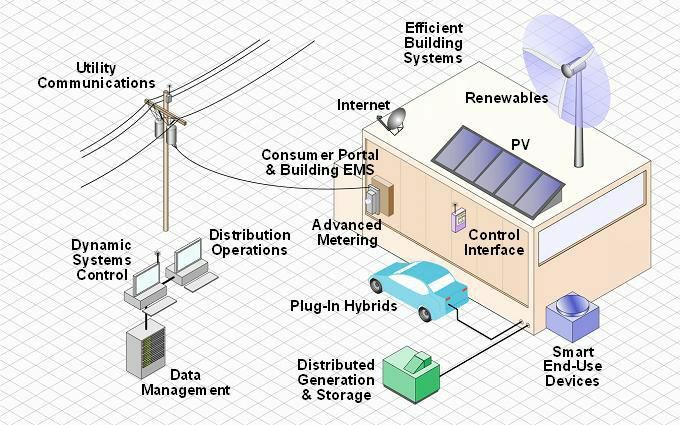 You will get to understand what smart grid really is and what it is made up of as you read ahead. Have you ever heard the term “Grid”? If so, then you must know that it has something to do with the electricity. The power grid is the main supply route and a network of transmission lines, transformers, distribution substation along with all the accessories that are combined for supplying electricity to various regions at the same time. Also, a power grid is the one that produces electricity. If we take a look at the history of power grid, you will come to know that the first power grid was established in 1885-1895, yes, it took almost 10 years to build a power grid and since then there are almost 9200 power grids that have been built around the globe and they are producing almost 1 million megawatts of energy that is being supplied to the consumers on daily basis. 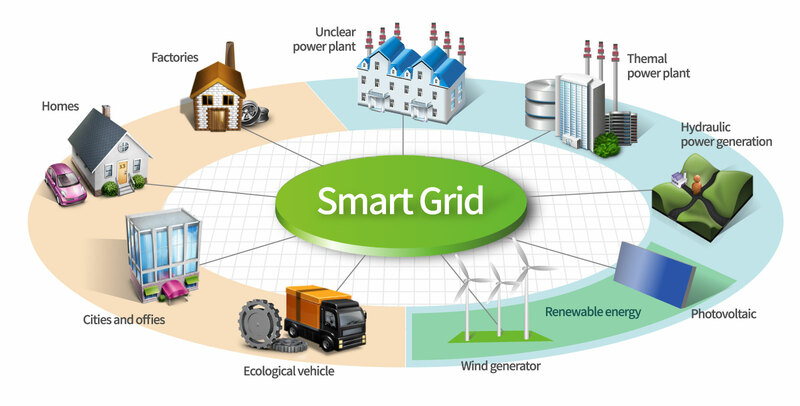 Smart Grid is the name of the communication between the utility and the consumer. A smart grid is a powerfully manufactured plant that consists of computer programming, digitalization, automation, and control analyst that performs a two-way communication between the power provider and the consumer. If electricity system fails in a standard power grid system, the service provider will only come to know about the issue once the consumer calls and lodges a complaint. But in the smart grid system, as soon as the grid shuts down, the service provider will be notified and not just he but it will also provide data from the transmission lines, transformers, and distribution centers along with the home supplies, all will be notified at once. The components of a smart grid are a combination of intelligent appliances and heavy equipment that play an important role in the production of electricity as mentioned below. These appliances work in a predefined manner, they are smart enough to understand the incoming power supply and how to utilize it. These appliances are set to consumer’s predefined preference level and they have an idea on when to consume energy on what level. These tech appliances have an important impact on the grid generators since they help in understanding the power position and reduce the peak load factors. The smart meters are a two-way communicator that help create a bridge between the power providers and the end consumer. It automates the billing data collection on the very convenient manner, detects system failures and sends repairing teams much faster than before because as soon as a system or a unit fails, the service providers are notified immediately. Substations are located in every region as s sub-branch for their main station. They monitor the performance of the station and control any critical and non-critical data that could be the status of the power, power performance, circuit breakers, security and the operationalization of the transformers. These are also used to transform voltage at several stations and operational regions and to split the path of electricity into several routes. Smart grid’s substations require heavy equipment and manpower to be operationalized thoroughly. This equipment may include transformers, switches, capacitor banks, circuit breakers and a network protected relay. Synchro phasors gather data from various locations of the grid to get a coherent picture of whole network using GPS and transmit for analysis to central locations. The addition of digital technology into the grid system has revolutionized its working in a un-imaginary way. It has not only transformed the way power stations used to work but it has also provided an upper hand to the consumer market in reliability, efficiency, and accessibility regarding electricity. Some of its applications are as follows. Improving the working of transmission lines. Quick repairing system after any sort of breakage or misfire. It will also reduce the cost of electricity. These are modern electric meters that have been performing the duty of being the communication bridge between the user end consumer and the service provider. The communication system is established through a secure wireless system that has allowed the consumer and the service provider to communicate at once if the service fails or for meter reading or any other hazard that may or may not take place. Remotely assessing the meter readings. A better understanding of how different appliances contribute to your energy generation. Faster alerts and the service provider shall be notified instantly. Radio-frequency shall be used to communicate across the electric grid. The smart grid has been able to provide better power management technologies through its integrated systems, providing with a better user interface. It has also provided with a protective management system in case of emergency crisis or setbacks. It has been in understanding that smart grids provide with a better supply and demand management. The smart grid has not only provided with a longer battery timing but also with better power quality to its consumers. Previous grid stations used to emit a large amount of carbon dioxide which in this case has been terminated at all. It has also provided with the convenience of reading meters remotely. Meter readers will not have to physically appear at the property and check for meter readings. It will all be done through IT resources. Smart grids have revolutionized the energy system with a big leap. It has not only made it faster but way more reliable and efficient by means of generating electricity. People have been able to get easy access to electricity and a smarter way to lodge complaints in case of an issue. It has brought about many necessary changes in the world of producing energy and has improved the living standards of the people by all means.